SET THE RECORD STRAIGHT! This record has been misidentified so many times over. Let's start with the catalog/matrix number which is H7OW. This can be decoded to be H = 1957, 7 = Custom (Recorded at RCA studios), O = Phonograph, and W= 7 inch Mono 45 RPM.1 This means that the record was pressed in 1957, not 1956 as many sources would indicate. 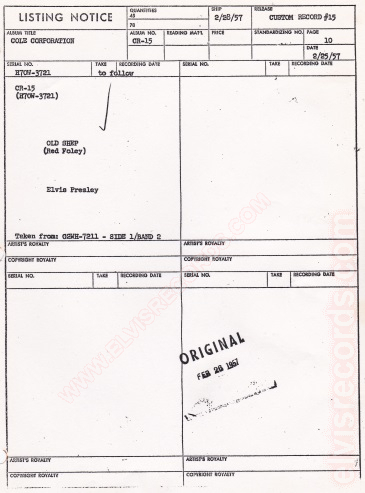 This decoding of the matrix is verified and substantiated by the official RCA Listing notice provided by Paul Dowling of World Wide Records where it states the ship date of February 28, 1957.2 The Album No. 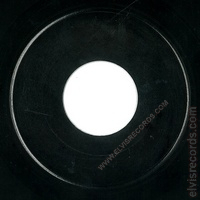 CR-15 (Custom Record - 15) with the Album Title: COLE CORPORATION.2 Further research into M.M. 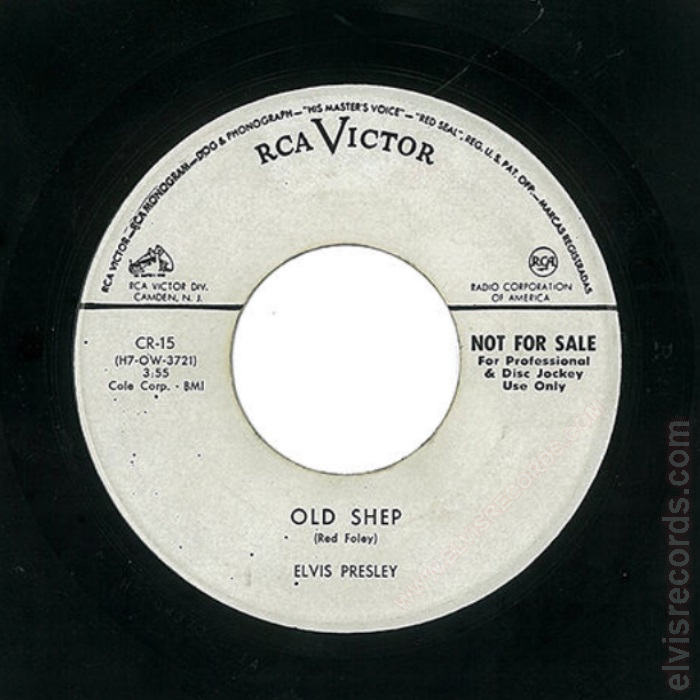 Cole Publishing reveals that the "Old Shep" title was part of it's catalog of song copyrights until purchased by ABC-Paramount in 1965.4 With these facts in place, the sleeve that was once identified with this title cannot be. The original release did not contain a label on the back. 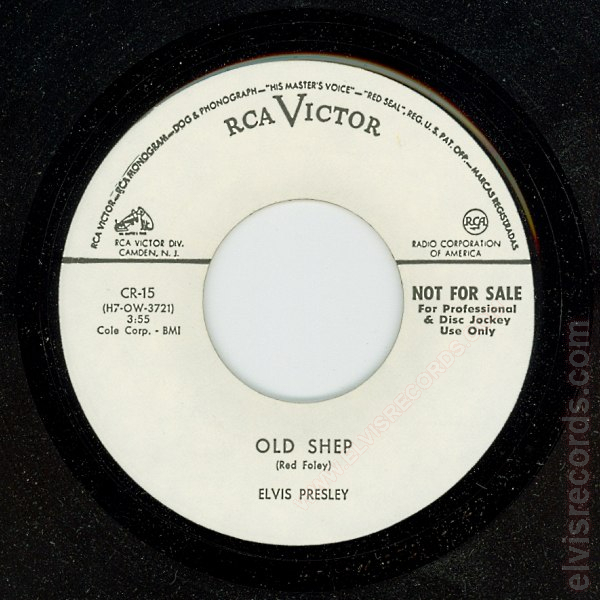 It is black vinyl.6 The counterfeit may have a white label on the back. Disc: White label. NOT FOR SALE. Counterfeit.